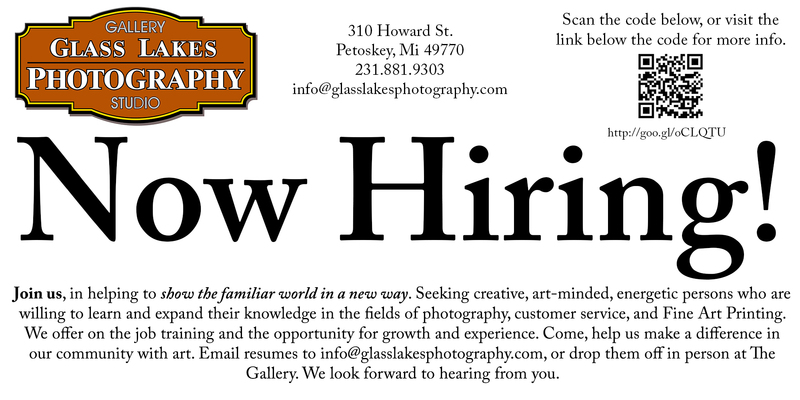 We are seeking a qualified individual to assist in our Downtown Petoskey gallery. 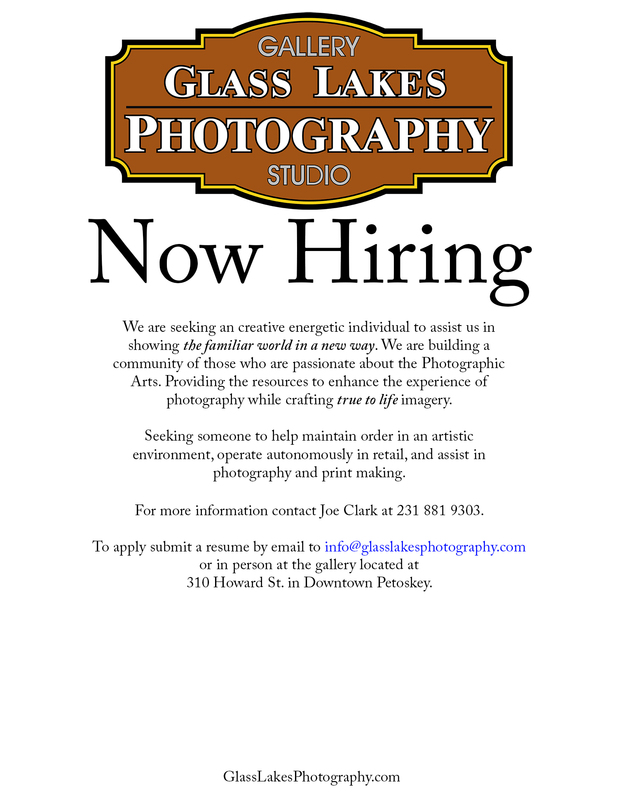 Qualified candidates will be over the age of 18, with experience in the arts, experience with photography a plus. Experience with Adobe products is requested, but not required. Job duties are primarily retail oriented, with opportunities for on site photography assistance and on location shooting. This is a job where you will have to learn and adapt in a rapid manner. Pay starts at 9.50 /hr for a minimum of 12 hours. Starting in mid-May there will be opportunities for up to 30 hours. Come, help build a fine art community where we all work together for success. This is a team environment, and you will become an integral part of building our photographic community.